USARK has commissioned a comprehensive economic study on the Florida herp industry. This analysis of herpetoculture (keeping of reptiles and amphibians under human care) will serve many crucial purposes for the future of reptile and amphibian pets, herp business, and more. Doing business in Florida and across the country is becoming increasingly difficult for many reasons. 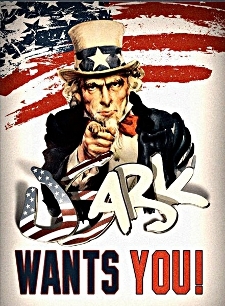 USARK is working to protect your future. NOTE: If you are located outside of Florida but do a lot of business in Florida, please send us an email at info@USARK.org to communicate directly with the study authors. We have the advantage of working with the key person who made our previous economic study a success. Many Florida businesses contributed when USARK did our national study, and all of them have seen the benefits of that collaboration, which helped us quantify the true size of the industry nationwide. Please understand that this study and the protection it seeks to provide cannot be fruitful without your cooperation. We will continue to be attacked by animal rights groups and others against what we do. This economic study is a critical tool for our defense. If you have any questions or concerns you may email us at contact@usark.org.